Antioch is a city in Contra Costa County, California. 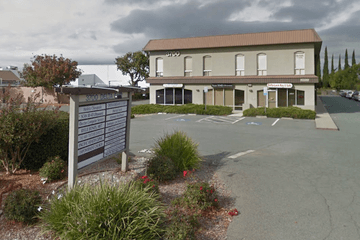 Five funeral homes in Antioch serve the city's population of 102,000 people. Four of the funeral homes in Antioch are within five miles of the city centre. There are two cemeteries to the east of Antioch: Holy Cross, and Oak View Memorial Park, both of which are on E 18th Street. Notable places of worship include: Most Holy Rosary Catholic Church on A Street, St George's Episcopal Church on E 13th Street, and Eastside Church of Christ on E Tregallas Rd. There is a synagogue on Sand Creek Road in Brentwood to the east of Antioch, and the Islamic Centre of East Bay is on W 19th Street. East Bay Hindu Temple is located five miles to the west, in Pittsburg. In California a death certificate is required within eight days, and the person that has died must be embalmed or refrigerated if burial does not occur within 24 hours. A casket is not specifically required for burial or cremation, but the person that has died must be interred in an established cemetery. California’s laws concerning the scattering of ashes are very strict; it is advisable to be aware of them before scattering your loved one’s ashes. Search by area or ZIP code now to find local funeral homes in Antioch near you. Order search results by best rated, most reviewed or nearest to quickly and easily compare Antioch funeral homes. Click on a funeral home’s profile to read customer reviews, learn more about the services they provide, and get in touch to begin making funeral arrangements for your loved one.